This week we have been contacted by a number of couples who are planning their wedding and honeymoon for 2018. 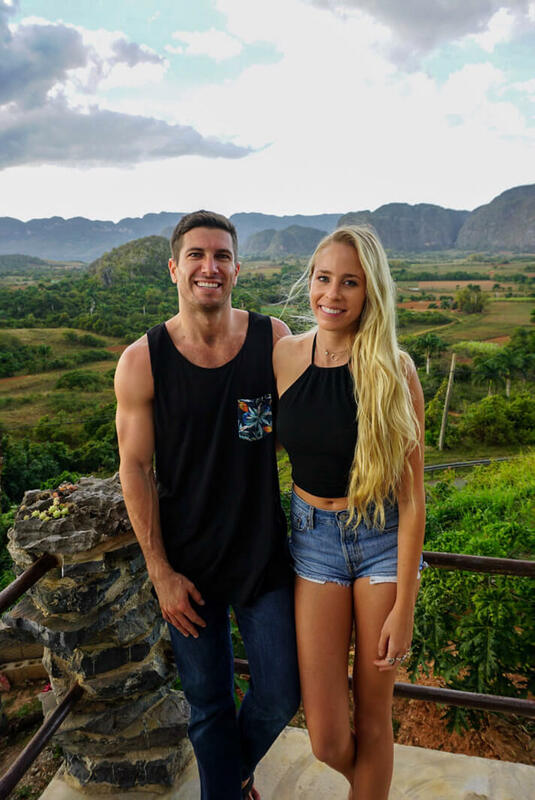 The one question we keep hearing is, “What are the best cheap honeymoon destinations?” Well, rather than continue to type out individual replies, we figured a blog would be helpful both for those who have reached out and those who will reach out in the future. We try to reply to all of our readers who contact us, but sometimes it is easier to send a link to a blog that has all of the desired information than to type a lengthy reply. Obviously, our wedding and honeymoon destination is not one that can be considered “cheap” or even “affordable.” However, we have traveled to a number of romantic destinations around the world and would consider many of them great options for those looking for cheap honeymoon destinations. 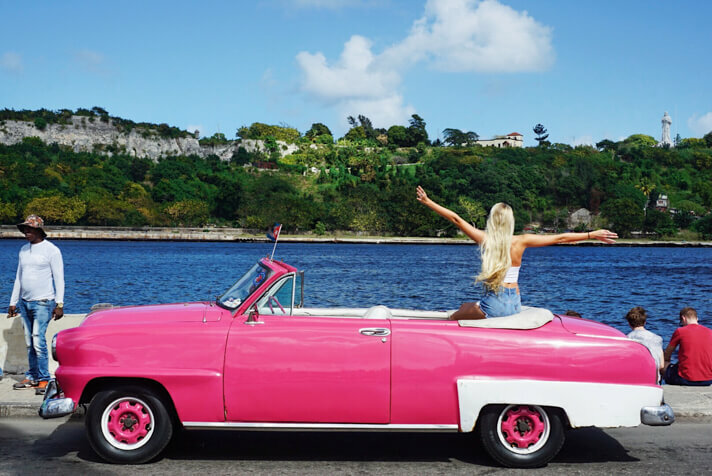 To be completely candid, not all of these destinations qualify as “cheap.” However, they are all relatively affordable in comparison to destinations such as Bora Bora and the Maldives. When thinking about a honeymoon, we would categorize each of the following destinations in the cheap to more-affordable range. Indonesia is a place where your dollar goes FAR. You’ll quickly be blown away by the exchange rate when you pull cash out of the ATM for the first time. 1 million Indonesia Rupiah is the equivalent of about $70 USD (February 2018). So you can feel like a millionaire and ball in style while pulling out less than $100 from your account. Accommodation in Indonesia can be found for as cheap as a few dollars a night. Of course, if you choose to stay at a place like Four Seasons, you’ll be spending $1000+ per night. There are loads of romantic options that can be seen as “happy mediums.” You shouldn’t need to spend more than $150 a night to find a very nice 4-star hotel. Att Four Seasons we didn’t spend more than $100 on a meal. Local restaurants provide delicious and very filling meals for around $3. 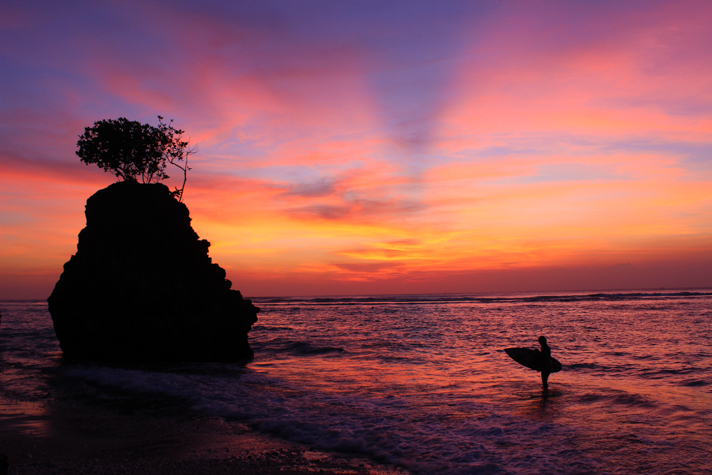 Indonesia has gorgeous beaches, mind-blowing volcanos, beautiful waterfalls, and the nicest people you’ll ever meet. It is the perfect place to spend a honeymoon. Croatia is not on the Euro, and as such, is one of the more affordable destinations in Europe. It’s not unlikely that this also has to do with the fact that we aren’t far removed from the wars that divided this region in the 1990s. $1 is the equivalent to 6 Croatian Kuna. 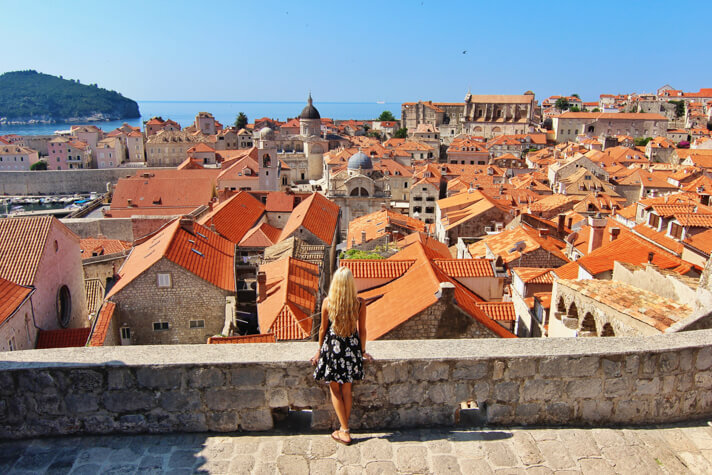 You’ll still spend a normal amount of money at nice restaurants and hotels in cities like Dubrovnik, but for the most part accommodation, food, and activities are all cheap. The country is beautiful from top to bottom. The beaches and the islands are some of the most popular coastal destinations in the Mediterranean. 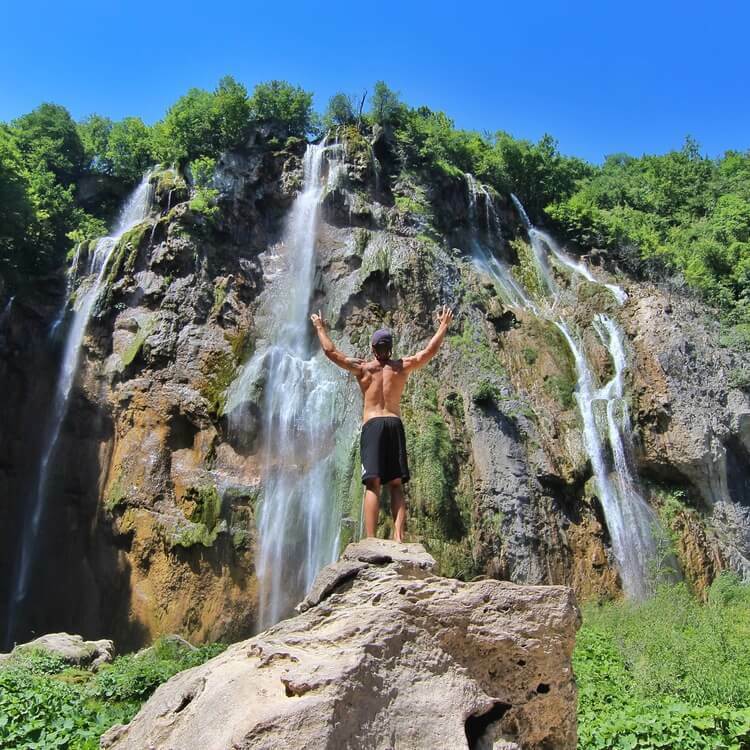 On top of the historic beauty of cities like Dubrovnik, you and your new spouse can also visit our favorite parts of Croatia: Krka National Park and Plitvice lakes. These parks are filled with waterfalls and lakes and will make you feel as if you’ve left earth and traveled to Pandora. Thailand is on the same page as Indonesia when we are talking about CHEAP. Southeast Asia is one of the best places to plan a honeymoon because you’ll be able to see some of the most beautiful places in the world and have a true cultural experience for a fraction of the cost of Bora Bora or the Maldives. Thailand has so much to offer from the busy streets of Bangkok to the serene Elephant Nature Park in the mountains of Chiang Mai, to the white sand beaches of Koh Samui. Thai food is some of our favorite cuisine as well, so we warmly welcomed cheap, delicious meals. Ok so hear us out. 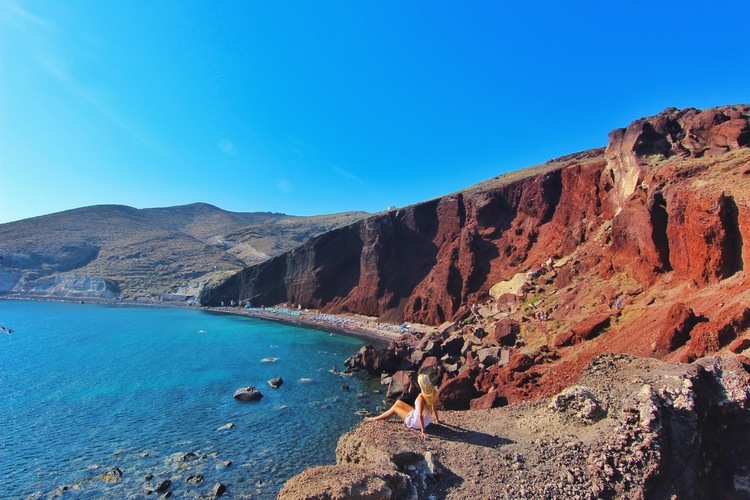 NO, Greece isn’t technically “cheap.” But considering that all things are relative, and this is your honeymoon we are talking about, the affordable nature of Grece is the reason it is on the list. Believe it or not, we found a gorgeous 4-star hotel on Santorini for $140/night. The food in Greece is also not expensive if you eat at local restaurants and avoid the tourist traps in Oia (pictured above). And let’s be real here, Greek food is AMAZING. Some of the best meals we have ever had were in Greece. Greece provides couples so much to do and see. The mainland is rich with history and the islands are rich with beauty and serenity. 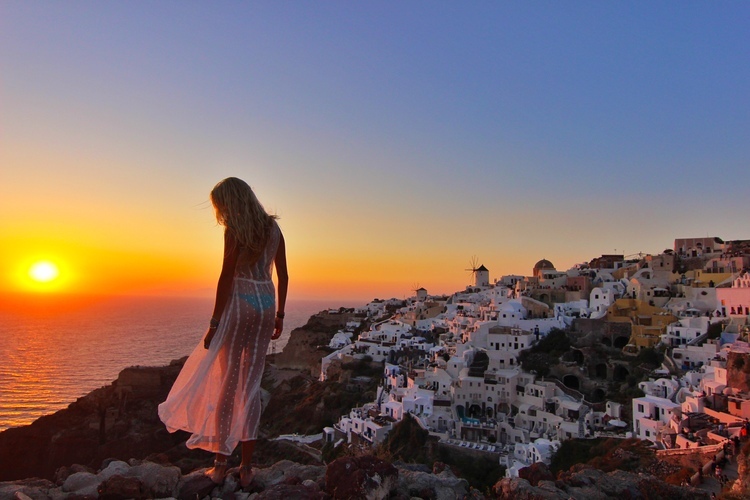 If you want to experience a more lively honeymoon and have a bit of a party, stop by Mykonos. This country truly has it all. It is easily in our top 5 favorite countries and is a place we are absolutely dying to return to. The Caribbean is a common destination wedding and honeymoon spot, but Cuba isn’t particularly the first island that couples think of when planning to tie the knot or honeymoon in the Caribbean. Cuba is a fantastic destination for a cheap honeymoon for many reasons: 1) It’s not overrun with tourists (we actually saw very few Americans and other tourists while in Cuba), 2) Most things are super cheap and 3) It is beautiful. Havana is a magical city filled with happy and friendly people. But Cuba is much more than Havana. 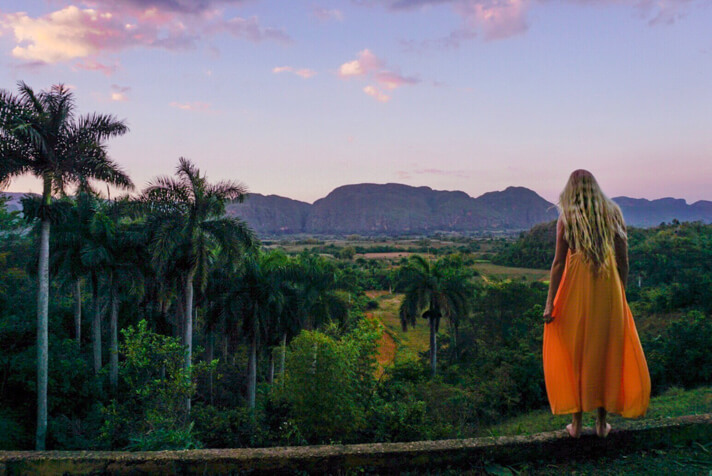 Cuba is filled with beautiful countryside and tobacco fields (as pictured above in Vinales). Cuba also happens to be…oh wait…an island. Cuba is lined with gorgeous beaches and is a perfect fit for a cheap honeymoon. Hawaii is the most gorgeous place in the United States. That is undeniable. In comparison to other island destinations like the aforementioned Bora Bora and Maldives, Hawaii is a much cheaper option. Airbnb and 3-star hotels enable couples to spend their honeymoon in Hawaii without spending their life savings. Each of the Hawaiian islands have a unique vibe and a unique set of offerings. You can relax on the beach, surf, golf, hike to waterfalls, etc. If you’re an outdoor enthusiast couple like we are, then Hawaii is the perfect cheap honeymoon destination. Malta is one of the more unique destinations we have ever visited. The history has positioned Malta to have such a genuine identity that is a bit of a mix of British, Arab, Italian, and French influence. The language itself is even a cultural mix. 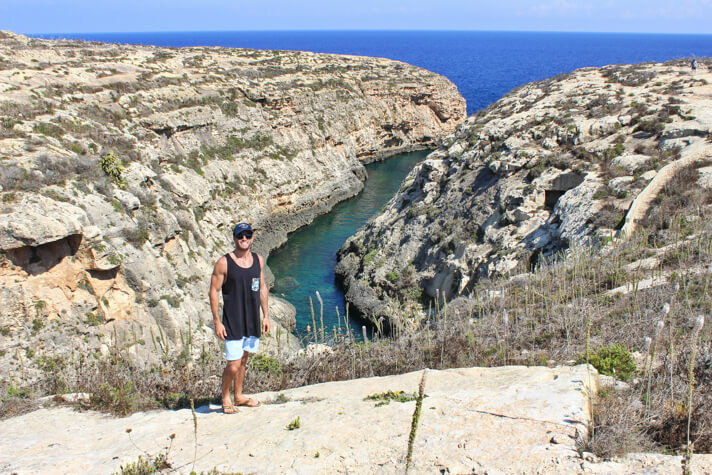 The 3 islands that make up the Maltese archipelago are enveloped by gorgeous rocky coastline with massive arches and natural pools. The food is AMAZING. And for the purpose of this blog, most importantly, its a cheap honeymoon destination. Peru has beaches, but it isn’t famous for them. The reason we mention that is because most people assume a honeymoon has to be on a beach. Let’s be real, the honeymoon is in the bedroom. The rest doesn’t matter. 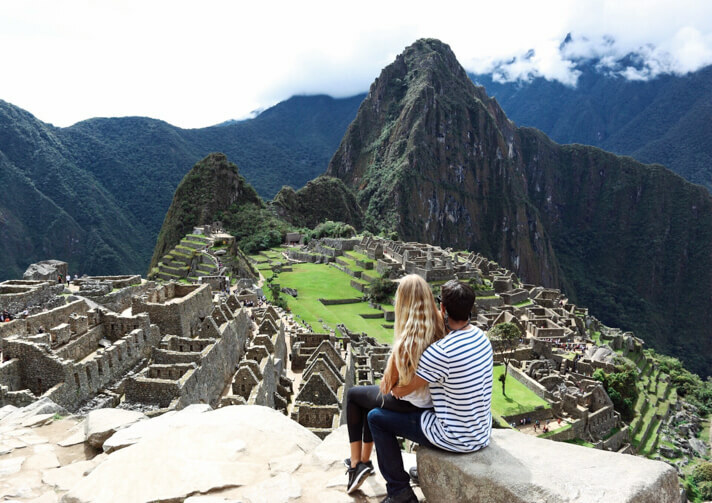 If you’re an adventure seeking couple, Peru is a cheap honeymoon destination that will certainly not disappoint. 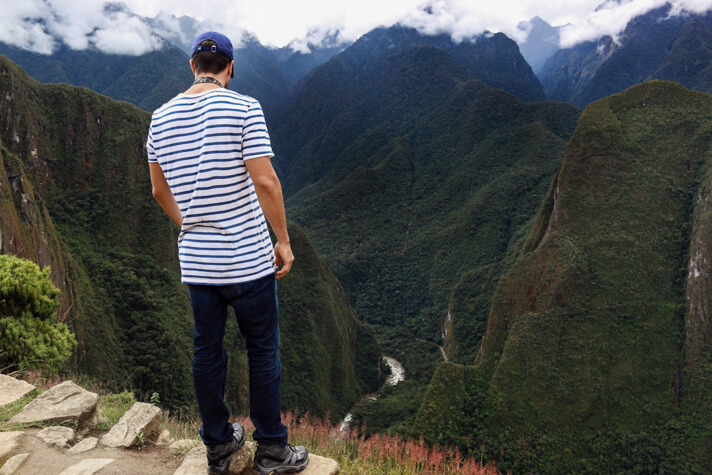 Spend your time exploring the ancient sites in the Sacred Valley and hike Machu Picchu. Have a feast in Lima and a cultural experience to create memories for a lifetime in Cuzco. Not a lot of positive press has been put out recently regarding Mexico. News networks love to fear monger, so the highlights on Mexico have been around the murdeers that have hapened in Cartel run cities. Yes, there are dangerous places in Mexico. No, you shouldn’t go to them. We doubt any of you planned to honeymoon in Juarez. There are also places in Los Angeles that we wouldn’t go after sunset, but that doesn’t mean we can’t live in Los Angeles. Mexico is a huge country. To assume that the entire country is dangerous because of some isolated incidents in particular areas would be ignorant. Let’s just put it this way….if you fly into Cabo and have a shuttle pick you up and take you to your resort, you’ll be incredibly safe. Cabo has some beautiful beaches, world class golf courses, and great opportunities for fishing and whale watching. The Arch is also the southernmost point of North America. Other popular destinations in Mexico include Tulum, Playa Del Carmen, Cancun, and Puerto Vallarta. Aruba, Jamaica, oh I wanna take you to Bermuda, Bahama, come on pretty mama. 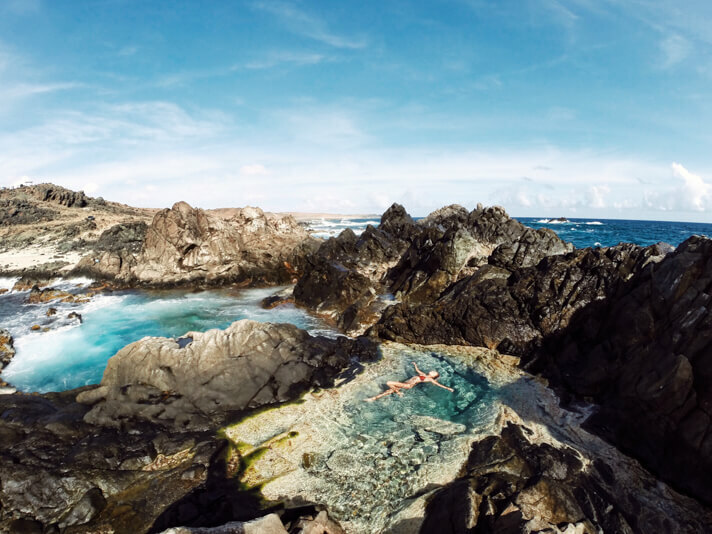 The island of Aruba is an often overlooked cheap honeymoon destination in the Caribbean. The island “technically” belongs to South America and sits just off the coast of Venezuela. Its latitude just north of the equator means the weather is generally sunny and hot. The island feels similar to Cabo in some ways as the topography is a desert. Aruba has a breathtaking national park with beautiful white sand beaches that meet crystal clear blue water. The natural pools pictured above was one of our favorite spots as well. Similar to Malta, Aruba has a unique identity. Aruba is part of the Dutch Kingdom and as such has a bit of a mixed culture with evident characteristics of both Caribbean and Dutch cultures. Again, not all of these are “cheap” destinations. These are cheap honeymoon destinations. Your honeymoon is something you ought to splurge on, anyway. Cheap is, again, relative. 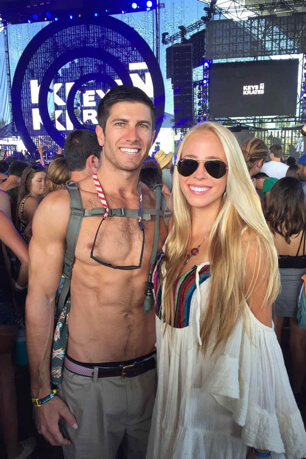 Cheap for a college student is different than cheap for a couple planning their honeymoon. A college student looking to travel on the cheap will backpack through Europe, Asia, or South America sleeping in hostels for $11 a night, consuming a baguette and a bottle of wine for dinner at about $6. A couple looking to plan a honeymoon on the cheap will likely have a bit more leeway with their budget. We wrote a blog for yTravel Blog where we highlighted the 10 best Italy honeymoon destinations. 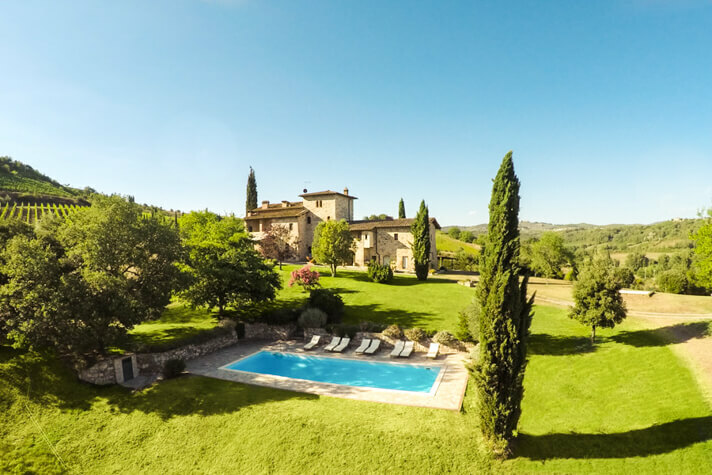 Airbnb – Italy is actually our favorite place to leverage Airbnb. The locals are great at managing them and have created wonderful experiences for us. Italians cultivate such a wonderful family experience, and many of our Airbnb hosts have made us feel like family. Airbnb’s are usually also in more local parts of Italian towns which makes your experience far more local. Eat local – Pizza, pasta, and panini in Italy will all run you about €5. Walk – The best way to explore Italian towns is to walk around. This will not only save you money on trasnportation but will also give you the chance to burn calories while discovering the best parts of the towns. Italy is far more than just Florence, Rome, Milan, Venice, and Naples. Italy has some of the most gorgeous coastline in the world and some of the most romatic coastal towns on planet earth. Positano, Cinque Terre, Portofino, Mondello, Cefalu, and Sardegna are great examples. Italy made the short list for our wedding & honeymoon, but as you all know, we obviously settled on Bora Bora. I love y’all so much!! I have been following y’all for awhile. My boyfriend and I have travel fever but we are young so we do not have a ton of money. I am also worried about how to make all of the arrangements of getting a car from the airport to our hotel and all of that; my family always has done that for me. Thanks, Lindsey that’s so sweet of you. Don’t be worried. I’m not sure how young you are, but we were both traveling internationally when we were teenagers. Most major airports have taxis and shuttles outside with locals who are more than willing to help travelers. Always be cautious in an unfamiliar place, but we have learned most places are safe and most people are friendly and helpful. Maybe sit down with your parents and ask them to show you how to book travel, hire a car, etc. I just got married a week and a half ago and I’m now looking to plan the honeymoon. We previously discussed Ireland, or Portugal as options. We would both like to go somewhere that has some adventure or history along with relaxation/beach. I liked some of your posts I have had Thailand on my mind but I like the thought of Bali. Any thoughts or ideas for me? Wow, that’s awesome! Congrats to you and your spouse! Bali and Thailand would both be incredible spots to honeymoon, but then again, so would Ireland and Portugal. It really depends what you want out of your honeymoon. We wanted to lay on the beach, enjoy each other, and eat good food; hence Bora Bora.